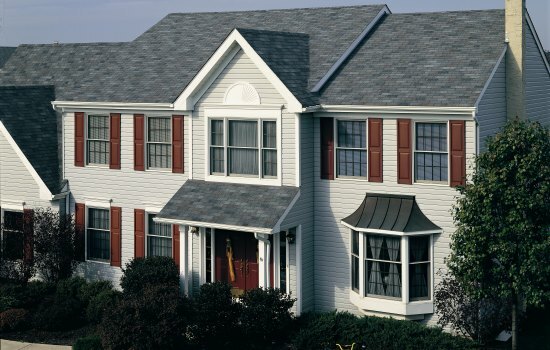 Ron Ferris and Son roofing services in Rochester NY are for home owners who want the best. A systems approach that combine high performance roofing components and industry leading installation techniques with one of the most comprehensive lifetime roofing warranties available. The decision to choose us for your next roof replacement will leave you protected for years to come. While every roof is different and requires an individual approach here is what you can expect when you contact us for a free roofing estimate. A thorough roofing evaluation performed directly by our owner including roofing site inspection to identify and address with you directly all of the areas of concern and any possible issues that may need special attention. For more information or a free estimate call the roofing professionals at Ron Ferris & Son at 585-288-0895 or visit us online at http://www.ronferrisandsonroofing.com! When choosing new roofing in Victor NY, all roofing materials have pros and cons and cedar shake roofing is no exception. With cedar roofing in Rochester NY, the advantages far outweigh the disadvantages. In terms of durability, a cedar roof is an ideal roofing material. It lasts at least a decade longer than more commonly found residential roofing materials like asphalt roofing shingles. Cedar wood shingles are also more resistant to strong winds, heavy rains, hail storms and snow storms. Cedar wood roofs are energy efficient and provide a natural insulation for your home up to two times greater than that of asphalt shingles. This allows you to conserve on home heating and cooling costs and significantly save on energy bills. Perhaps the greatest advantage of all is the natural beauty of a cedar shake roof and the way it ages into a grayish silver tone. The initial investment and cost of maintenance are the only major cons of cedar shingles. Compared to other more popular roofing materials, such as asphalt roofing shingles cedar roofing shingles are more expensive and cost more to install. When a roofing contractor in Victor NY uses top quality roofing, like cedar wood shingles it may come with a higher price, however the longevity of cedar wood will provide a higher return on your investment. When it comes to roof maintenance, just about all roofing systems need some form of care to ensure proper performance. Cedar roofs in Rochester NY require regular maintenance to prevent moss, mold and mildew growth. Some cedar shake roof shingles are manufactured with preservatives meant to prevent fungal growth and preserve the cedar. Of course, our Victor NY roofing company is at your service to help you with all of your roofing needs. To learn more about cedar shake roofing or for a free roofing estimate contact us today @ (585)288-0895 or learn more about our roofing services in Rochester NY visit us at http://www.RonFerrisAndSonRoofing.com. Only you can decided if a cedar shake roof is right for your roof replacement.